Today you’re going to learn exactly how to land a NASA High School Internship in 2019. This is the same approach I used to land 2 high school internships, 3 undergraduate internships, 2 graduate internships, and a full-time job at NASA. 3. Do I Have What It Takes? 4.1. Tip #1. Tell Your Complete Story of What You Are Capable Of. 4.2 Tip #2. Put Yourself in the Employer’s Shoes. 4.3 Tip #3. Show How You Fit in with the Work Culture. 5. How Hard Is It to Be Accepted into the NASA High School Internship Program? 6. What Disciplines or Areas can I work on at NASA? 7. How much money does a NASA high school intern make? Are you interested in a NASA high school internship, working to support the expansion of knowledge for the benefit of humanity? Do you want to explore career paths and discover what you may be passionate about? Then listen in to learn how to get your first paid NASA high school internship. Here is how I became a high school intern for NASA. Welcome back my people! I’m your host Aida Yoguely. And mathematics and computers have always fascinated me. Back in high school in Puerto Rico, I would spend time with my friends solving problems just for fun. When I was not nerding out, I was skateboarding or playing the electric bass. Then I learned that for a summer, I could work directly with NASA engineers. Doing work that matters. Plus, I would receive money for my work. So, I naturally looked into it. 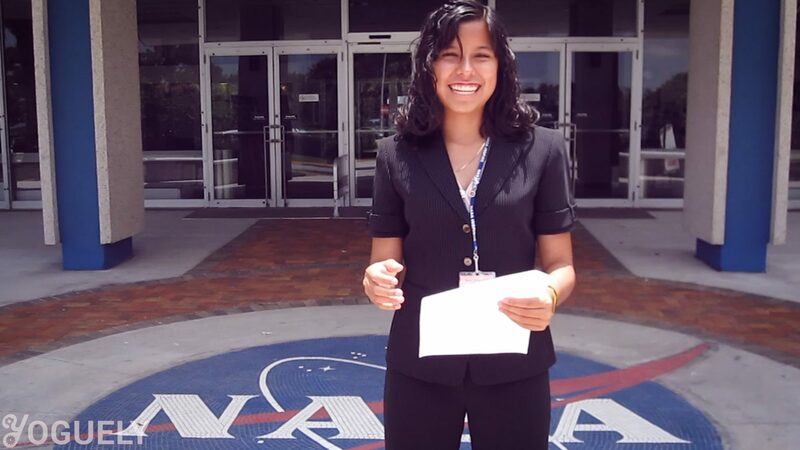 Aida Yoguely at her first paid high school internship at the NASA Kennedy Space Center in Merritt Island, Florida. 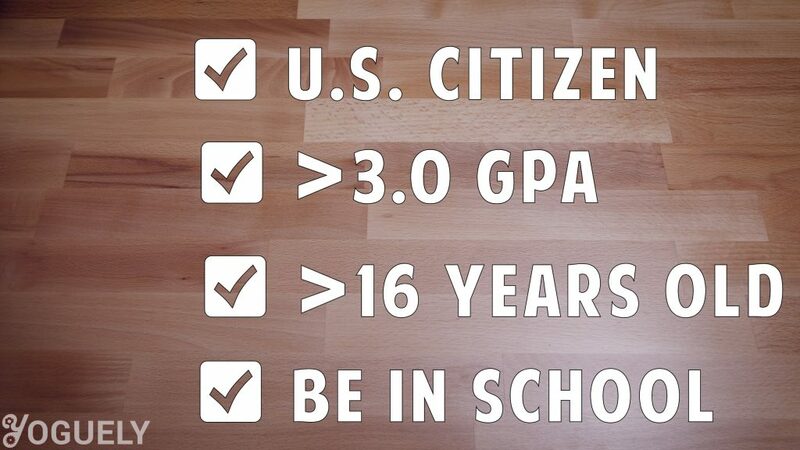 To be eligible, I had to be a U.S. citizen, have a grade point average (GPA) above a 3.0, be at least 16 years old, and be enrolled in school. They say luck is what happens when preparation meets opportunity. All my life I had been building my education for a chance like this to come along. One thing we can all be certain of is this. Your probability of being rejected is guaranteed, if you do not apply. To put it another way, the best time to invest in yourself was actually yesterday. The second-best time is NOW. With this in mind, I knew that the NASA high school internship application was not going to wait for me. So, I took a chance and applied right away. In the event that you do not feel ready, filling out the application can still be supremely beneficial. By doing so, you will identify areas you need to work on. Then you can make a plan to achieve that by the next NASA high school internship cycle. Also, by being in the applicant pool, mentors can read your profile in the database. If they believe you are a good fit, they might just reach out to you. Mentors have contacted me and ask me to work for them. This was without me directly applying to their job listing. Sometimes I have had to decline because it does not align with my interests. So, what do you think, like to give it a try? 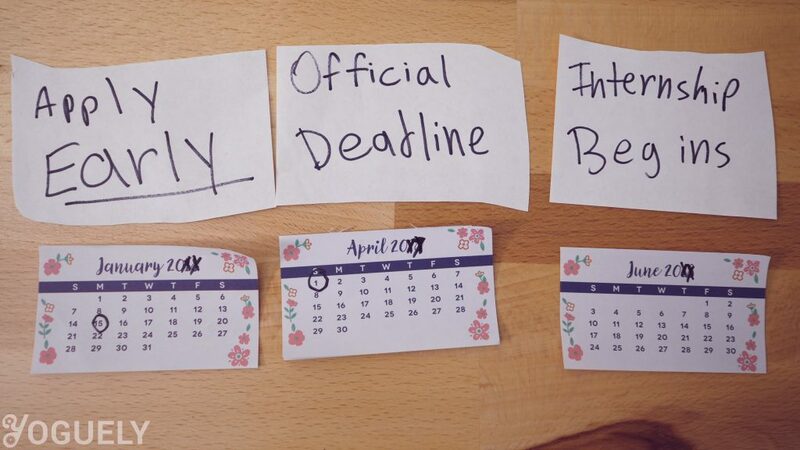 The summer application officially closes in late spring. However, by then, most mentors have already matched students for the job positions. I would recommend applying by mid-January, the latest. Early bird gets the worm. I got this question from one of you on my social media. First of all, you do not need to be a first-place winner or have straight A’s. That just shows how good you are at those specific problems. In middle school, I won first place in the “state” math competition across all of Puerto Rico. And if you asked me to solve those same problems today, I might not know the answer right away, but I know where to find them. An educated human knows where to get the knowledge when they need it, and how to organize the information into a plan of action. Check out Think and Grow Rich by Napoleon Hill and Arthur Pell (Amazon affiliate link) book that goes further into this idea. Very rarely will you go into the real world and encounter the exact problem you saw in math class. Real world issues most of the time have no step-by-step instructions and no exact solution. So, to answer the question, reflect on your extracurricular activities. 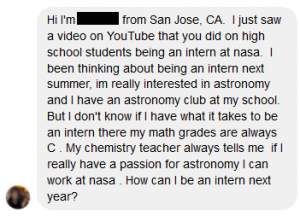 If you can show that you are a critical thinker, who is resourceful, able to process knowledge, and collaborate in teams; Then you have a pretty good chance of being a NASA high school intern. These tips to stand out come in handy for other companies and college as well. So, keep your ears open. Tip #1. Tell Your Complete Story of What You Are Capable Of. 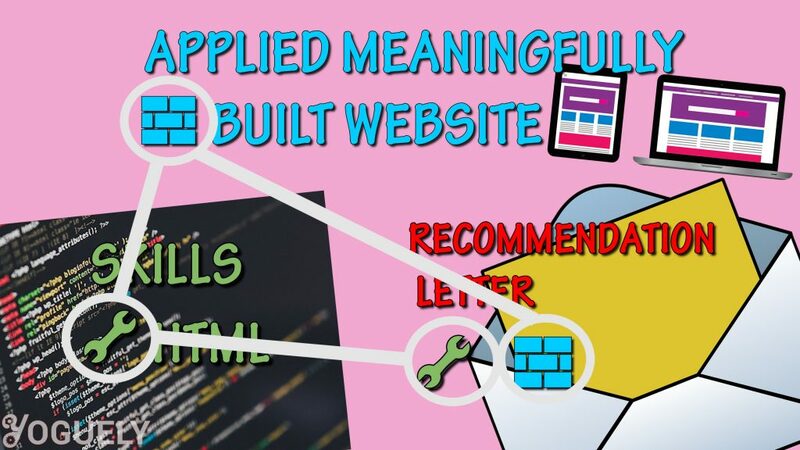 I listed out my computer skills such as coding webpages with HTML. Then in my NASA high school internship essay I shared how I applied these abilities. Like how I designed a website showcasing the Math Club’s recent activities. Finally, in the letter of recommendation, my teachers assessed and backed up my capabilities through their own point of view. Picture this, the form is like a spider web. Where each keyword appears connected in many sections of the NASA high school internship application. And the big picture shows how NASA and you can both benefit from each other. Your chances to get in totally skyrockets if you can demonstrate that. Tip #2. Put Yourself in the Employer’s Shoes. What is their objective? In any job application, the objective of the employer is to hire the most qualified person available to do the work they need done. So, find a job position that aligns with your current skills and interests. If you feel that you can do over half of the tasks listed, then it is worth a try. Bosses do not expect you to know everything on the first day of the job. Regardless, managers do expect you to be a fast learner, figure it out, and get the job done. Tip #3. Show How You Fit in with the Work Culture. Employers wants to hire someone who can work comfortably in an environment that shares their mission and values. Taking 5 minutes to read the employer’s purpose will place you ahead of the game. Let’s see what NASA’s website has to say. NASA’s core values are safety, integrity, team work, and excellence. Hey! Those align perfectly with my core values. So, in the essay I included my leadership as president of the school’s math club. Highlighting professional attributes like my curiosity, resilience to overcome obstacles, and agility in dealing with unforeseen circumstances. How Hard Is It to Be Accepted into the NASA High School Internship Program? Like one of my NASA mentors once said, “it is sort of just a supply and demand problem”. If a mentor does not select you, it might not mean that you are inadequate. It could mean that spots are not available anymore (too much supply). Or it could mean that there is no need for someone with your skills and experiences right now (no demand). When it comes to applying to jobs, rejection is a common occurrence. From an early age, it was clear to me that there are things over which I have control over. Like the goals I set for myself. Then, there are things over which I had absolutely no control over. Like whether there are 1000 other NASA high school internship applicants. 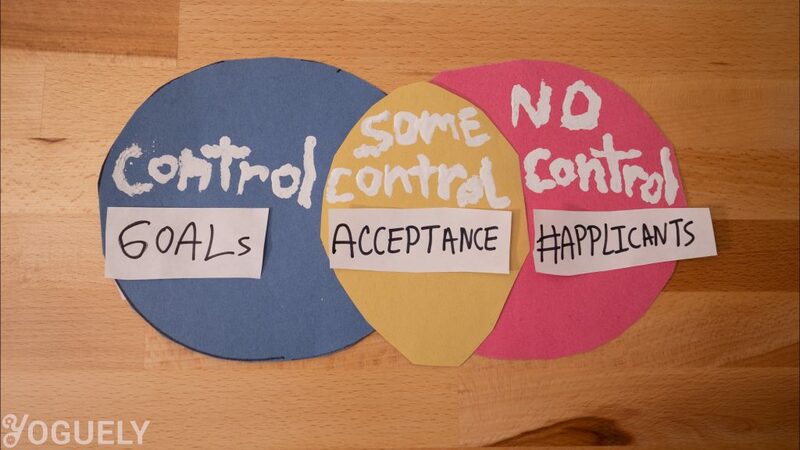 Then there are things over which I have some control but not complete control. Such as whether the NASA high school internship program accepts me or not. For them to select you, your focus must be on making the best effort and then submitting it as many job listings as necessary until you land the one you desire. Check out A Guide to the Good Life : The Ancient Art of Stoic Joy by William Braxton Irvine (Amazon affiliate link) book that goes further into this idea. Ah, Too many people are so much smarter than me! It’s difficult to stand out. When I applied, I never once doubted my competence. And my focus was never on the competition. That’s a distraction. I had full confidence in myself and I could visualize myself at the NASA high school internship, standing at NASA’s launch pad, typing away in a cubical, shaking hands with brilliant scientists. This is the first step, believe in yourself, then make a plan, and get help from your teachers. What Disciplines or Areas can I work on at NASA? When you are a high school student, you don’t yet have a Major or Degree. Nevertheless, your skills can still be used to make a valuable contribution to the space program. In high school, NASA picked me, because of my programming and communication skills, to make a website for a branch at the Kennedy Space Center headquarters. For this, I spent half of my time interviewing professionals, understanding what they do, and the other half coding it into the system. Even though I did not have specialized engineering skills at the time, I became part of the NASA network. This network connected me to real rocket scientists and many different engineering fields. The topic of the work might be advanced, but the assigned task will be doable for your education level. For instance, I have met students in the NASA high school internship program who have worked at altitude chambers, on CubeSat technology, databases, doing ecological research, pressure vessels, and even in materials science. Students could even work in business, marketing, journalism, art and multimedia, space medicine, and on virtual reality (VR) simulations. Gosh that must be a lot of fun. How much money does a NASA high school intern make? The NASA high school internship program gave me a stipend based on the minimum wage for the state in which the NASA facility is located. In particular, I went to the facility closest to Puerto Rico, the NASA Kennedy Space Center in Florida. The minimum wage in Florida back in the day was $7.21 an hour, that is $1153.6 per month, which interestingly would equate to $13,843.2 if I had done the job for a full year. The pay received was before tax. Therefore, the amount I received was much less than this. We’ll have to leave questions on scholarships for another time. As for NASA high school internships, I’ll leave the latest link where you can apply here. After my first NASA high school internship, I kept applying every year and landed 6 more internships with NASA, using these secret techniques. Share this with other students interested in NASA high school internships. Or join the discussion in Community Forum where I will be answering your questions and giving feedback.